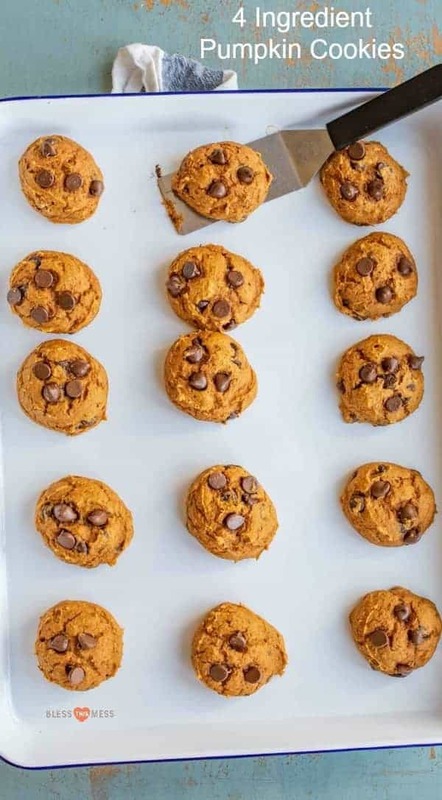 Cake Mix Pumpkin Chocolate Chip Cookies Recipe | Easy Cookie Recipe! 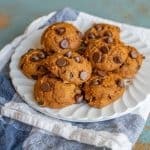 Quick and easy pumpkin chocolate chip cookies recipe made with only 4 ingredients including a cake mix. 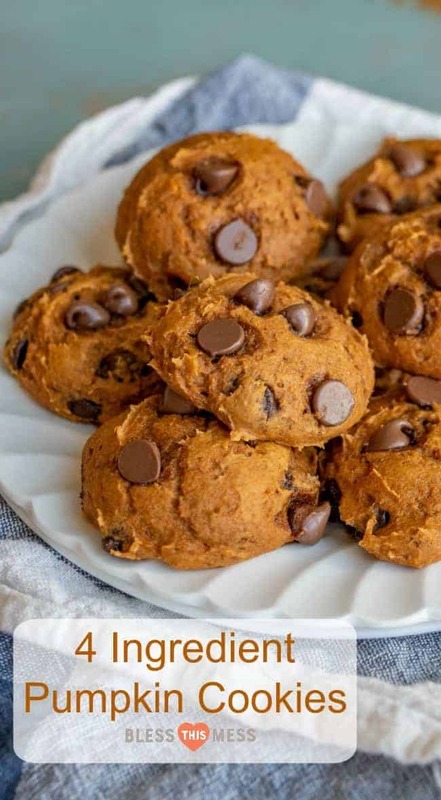 I’m sure that you’ve seen and probably even made this really easy cake mix pumpkin cookie recipe; it’s been floating around the internet for years. I wanted to share it with you today, not because it’s new, but because it’s awesome. And with my tips and tricks, it’s even better. What’s my secret?! An EGG! 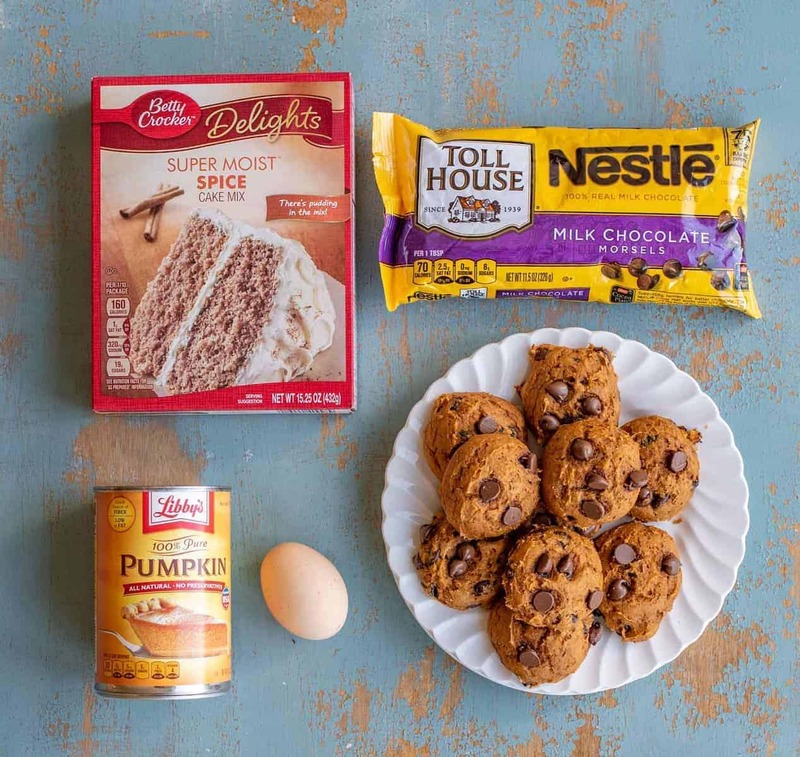 The addition of one egg to the cake mix, pumpkin puree, and chocolate chips makes all the difference. That and not under-baking the cookies. Those two things are the secrets to these simple cookies. The egg acts as a leavening agent and helps to make the cookies less gummy. Cooking them a full 12-14 minutes also helps them to not be gummy and sticky either. Nothing too new or exciting but a few little things can make a big difference when it comes to a recipe with a super short ingredient list. These cookies are so simple that my kids can make them almost on their own. My oldest loves to have friends over and bake. They’ve had many (MANY) kitchen disasters. I think it’s a great learning experience. But when I think it’s a good day to have a treat turn out, I’ll encourage them to make this recipe. It’s easy and you can’t mess it up. Nothing wrong with starting with a cake mix in my book (I use a cake mix in each of these recipes: Vanilla Sheet Cake, Homemade Soft Oreos, Grandma Shoaf’s Chocolate Sheet Cake, Cheater Brookies (Chocolate Chip Cookies + Brownies), Cheater Gooey Pumpkin Butter Cake, Cheater Chocolate Chip Cookie Bars). See? There is a time and a place for cake mix. 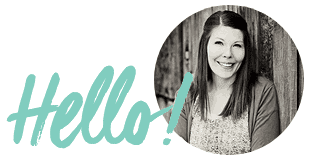 It’s a great starting point for new bakers and busy mamas alike. Adding the egg really helps to make the cookies not gummy. It can be made without the egg but I think the end product is much better with. Don’t undercook these pumpkin cookies. They get gummy and not very good when they cool if they are undercooked. They should spring back slightly when touched and shouldn’t be shiny when cooked through. Pumpkin cookies are best stored lightly covered at room temperature. If stored in an air-tight container, they get sticky on the outside. You can use milk, semi-sweet, or dark chocolate chips or even butterscotch or caramel chips. All are great options – just use what you like and have. Have you tried the Sea Salt Caramel Chips from Hershey’s? Our little store carries them and they are SO good in this recipe. 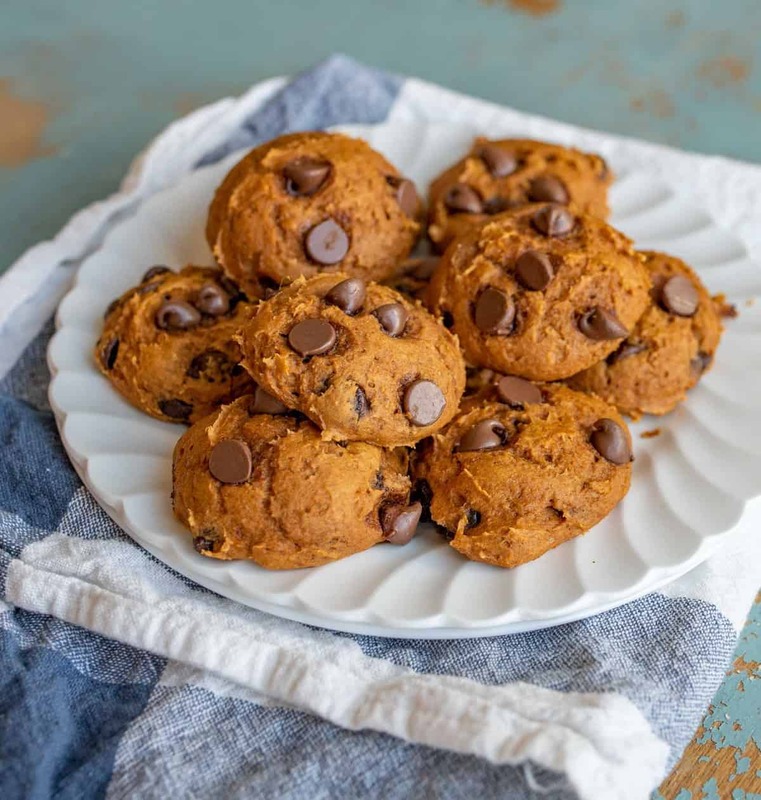 Quick and easy pumpkin chocolate chip cookies made with only 4 ingredients including a cake mix. Preheat your oven to 350 degrees F and line a baking sheet with parchment or a baking mat. In a medium mixing bowl add the dry cake mix (but none of the other ingredients called for on the box), 1 can pumpkin puree, and one egg. Mix to combine well. Add the chocolate chips and stir to combine. 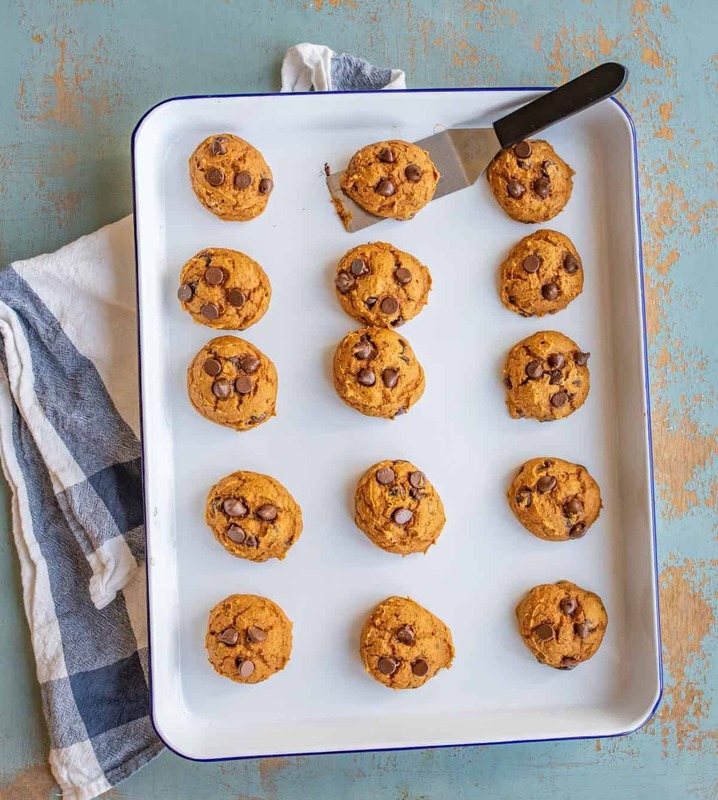 Using a cookie scoop, place a large tablespoon of dough on your cookie sheet 2 inches apart. They don’t spread much so you can get them closer than other cookies. Bake for 12-14 minutes until they spring back slightly when touched and no longer look shiny. Let cool on the pan for 3 minutes before placing cookies on a wire rack to finish cooling. Repeat baking instructions with remaining dough. Best stored lightly covered at room temperature (if stored in an air-tight container they get sticky on the outside). Adding the egg really helps to make the cookies not gummy. It can be made without the egg, but I think the end product is much better with it. Don’t undercook these pumpkin cookies; they get gummy and not very good when they cool if they are undercooked. You can use milk, semi-sweet, or dark chocolate chips or even butterscotch or caramel chips. All are great options – just use what you like and have. 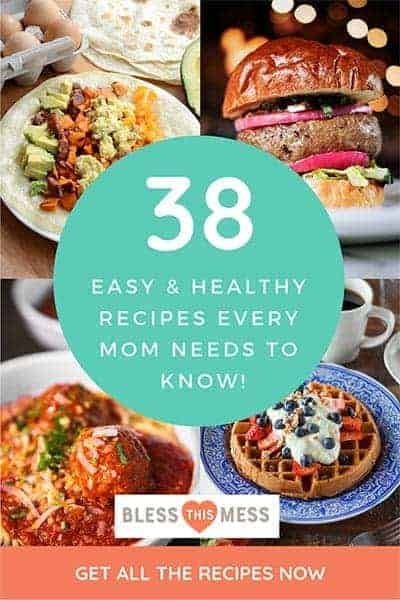 This is one of our all-time super easy recipes that even my kids can make on their own! How fun is that?! I hope you love these pumpkin chocolate chip cookies as much as my family does. Just be warned – once you realize how easy they are, you might make them over and over again. What’s stopping you? You’re 20 minutes and just a few ingredients away from a batch right now. Enjoy from my kitchen to yours.